Russia and China have been actively pursuing rapprochement as of late, doing so in a great many of the areas of primary concern, including the economic, diplomatic, military and political spheres. To begin with the most notable example, I will cite this year’s Naval Cooperation set of regular joint maritime exercises. 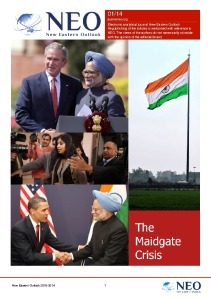 These have now become a tradition, along with the bilateral and multilateral exercises of the Mission of Peace series. The staging area for Naval Cooperation changes every year. In 2012, the maneuvers were held from 22 April to 27 April in the Yellow Sea off the coast of Qingdao, in eastern China’s Shangdong province. They involved 25 ships, 13 airplanes, nine helicopters and two detachments of special forces from either side. In 2013, the maneuvers took place from 8 July to 10 July in the Peter the Great Gulf. This year’s exercises will be held from late May to early June in the northern part of the East China Sea, near the disputed Senkaku Islands, known as Diaoyu in China. They will involve about 20 ships, including the missile cruiser Varyag, the submarine chaser Admiral Panteleyev, the large amphibious ship Admiral Nevel and others. This is how the proverbial “Chinese threat” is going to look. The South China Morning Post reported that Beijing was unhappy about what U.S. President Barack Obama said during his latest visit to East Asia. “Picking the East China Sea as the location of the exercises is clearly a political gesture to protest U.S. sanctions against Russia and Washington’s interference in the territorial disputes between China and Japan,” expert Li Jie told the newspaper’s editorial board. 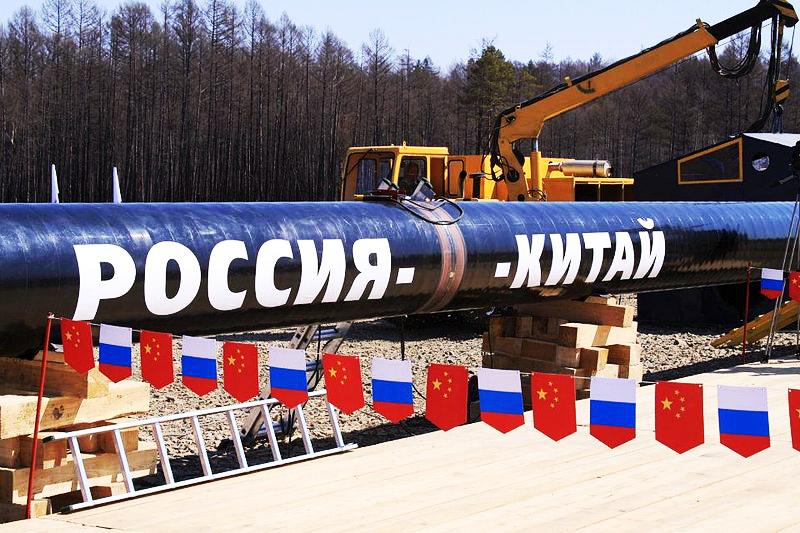 “During President Vladimir Putin’s upcoming visit to China in May, the China National Petroleum Corporation and Gazprom may sign a contract to build a gas pipeline from Russia to China and also a contract for Russian gas delivery,” Zhang Di, chief economic adviser of the Chinese ambassador to Russia, said in an interview with the Interfax news service. USA Today’s David Andelman said the main agenda topic of the visit is a 30-year agreement for the supply of large quantities of gas to China. At least 38 billion cubic meters of gas will start flowing to China annually beginning in 2018. That’s roughly the same amount as the whole European Union (with the exception of Germany) buys from Russia. As Deputy Prime Minister Arkady Dvorkovich noted in April during a working visit to Beijing, the Russian and Chinese sides had reached a preliminary agreement on a number of contracts (or at least hastened the preparations for some of them) prior to the Russian leader’s visit to China. Dvorkovich said the principal matters to be discussed are gas contracts and gas delivery from Russia to China via the eastern route. The contract for Novatek’s Yamal LNG project is ready. Rosneft has some projects that are of interest as well. 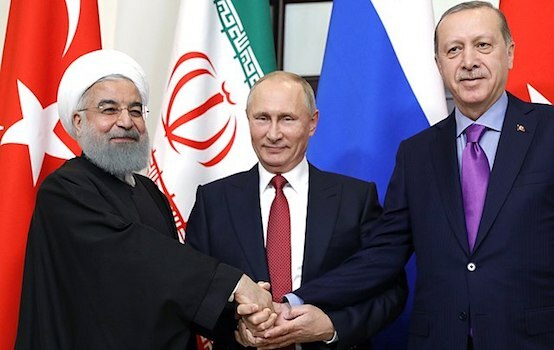 There is talk of increasing gas exports from Russia through the sea route by several million tons per year, as well as the joint development of a number of deposits on Sakhalin and in Eastern Siberia. In addition, preliminary talks addressed cooperation in the realm of coal production. In particular, the parties discussed extraction of coal deposits, construction of power plants near coal mines and the possibility of generating more electricity in China. They agreed to speed up the work on the Tianjin refinery project. Putin’s visit to China was not prompted by any political happening, for example, threats of sanctions by the U.S. and the EU, problems with Ukraine, and so forth. The Russian president’s visit fits Russia’s overarching policy, which involves deepening economic ties with the Asia-Pacific region. This policy is based on commerce and gain. These days, the Kremlin does not concern itself with pretensions of global hegemony and propaganda about what prevailing system of values is best. Top Russian leaders visit China almost every year, and the range of issues that Moscow and Beijing discuss remains basically unchanged. Washington’s behavior is actually nudging Russia and China toward each other, says The National Interest editor Galen Carpenter. According to him, the United States is on the verge of making a huge foreign policy blunder, turning two leading world powers against it at the same time. The strain is evident in bilateral relations between the U.S. and Beijing and Moscow, and right now it is running at very high levels. In any event, though, the influence the United States exerts on Russian-Chinese relations should not be overstated. Rapprochement between China and Russia is occurring chiefly in response to objective considerations, the most important of which is the economy. 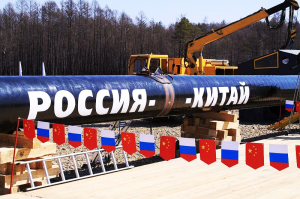 Russia possesses a vast store of energy resources, and most global production of high-demand consumer goods has moved from the EU and Japan to China. Chinese businesspeople now own many world-famous consumer brands. So why wouldn’t Russia and China increase trade volume to as much as $200 billion by 2020? Exchanges might not be paid for in U.S. dollars but in the currencies of the two countries. In Suifenhe, where there is brisk cross-border trade, the ruble enjoys full recognition as a means of payment. Finally, we must not overlook another crucial factor that helps draw the people of Russia and China closer together: cultural and educational ties. Ilya Ryasnov, a cultural studies scholar from Novosibirsk, notes in his article “Cultural Cooperation Between Russia and China in the 21st Century” that Russian intellectual culture has had a huge impact on the Chinese national culture in literature, theater, ballet, music and other art forms. In the 20th century, a wave of Russian immigration to China was followed by the socialist phase of cultural interaction. This helped build the ranks of the Chinese intelligentsia and contributed mightily to the modernization of China. The relationship cannot now be returned to its previous state, but a new model of cultural cooperation between the two countries has become possible. It is all about cooperation and preservation of the uniqueness of each culture. This new phase of interaction will likely play out as a dialogue. China is an exceedingly fascinating and wondrous civilization that cherishes education and has preserved its traditional values.